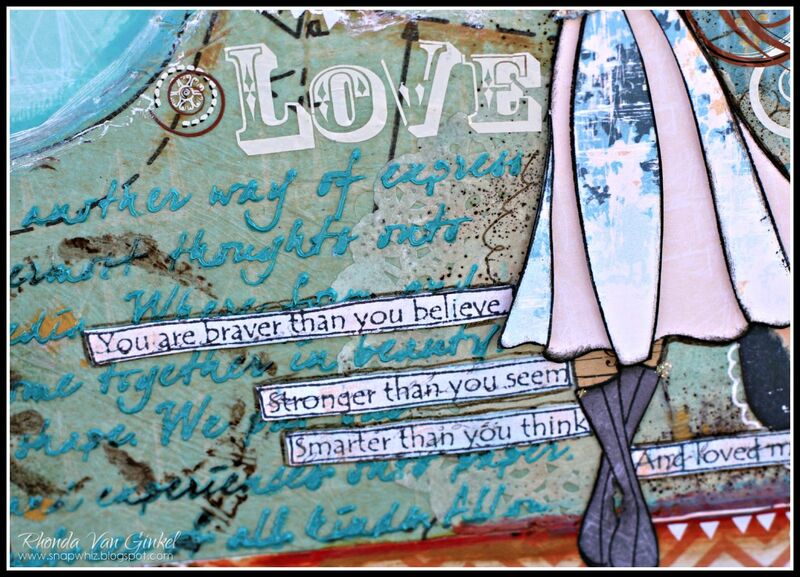 Happy Monday Quick Quotes friends! It's Rhonda here today to host the blog for you. I have an inspirational canvas to share with you featuring the all new "Anchors Aweigh" collection along with a few pieces from another new collection called "49 Shades of Grey". A while ago a friend of mine was creating a few of these canvases at a crop and I was very intrigued and wanted to give it a try. I used my PowderPuff Chalk Inks to color the edges of my 8x10 canvas prior to adhering my pattern papers. I simply ripped them and decoupaged them on. You can see some tissue paper from an old pattern is used here as well. 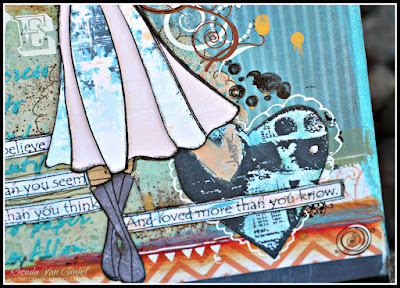 The heart and sentiment strips were stamped with PowderPuff Chalk Ink in Midnight Confessions. I used a paint brush with Peach to color in the heart and Blue Lagoon and Caribbean Blue blended to achieve the other colors in the heart. Here you can see some modeling paste that I used along with Gold Glimmer spray. 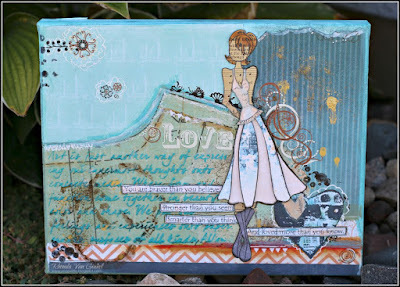 The flourish rub-ons are from my Quick Quotes stash of goodies. They worked perfectly as little accents around the canvas. The wonderful thing about this technique is it doesn't matter if they adhere perfectly, you just take bits and pieces and rub them where you want an accent. 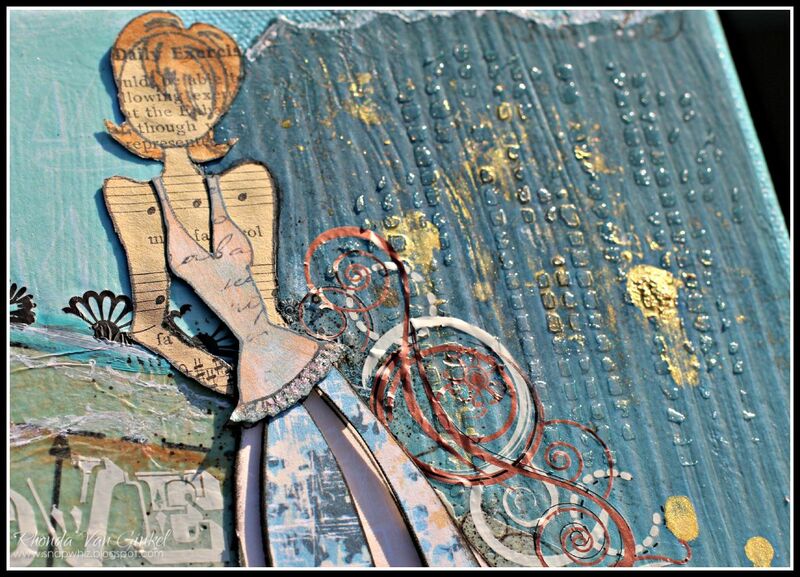 I hope I inspired you today to check out our new paper collections and don't be afraid to look in your stash to find another item or two that works with your project. If you feel a little stuck like I did at first, I spent some time checking out YouTube and Christy Tomlinson's videos were a great resource!. Great project Rhonda! 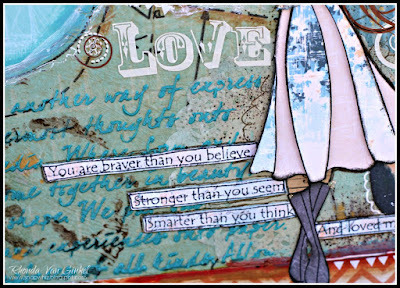 Love your mixed media and the Prima doll.